James M. Paci, MD joined the Orlin and Cohen Orthopedic Group as the Director of Orthopedic Surgery and Sports Medicine for Suffolk County in 2018. He is an Associate Professor of Orthopedic Surgery at the Donald and Barbara Zucker School of Medicine at Hofstra/Northwell. He is a board-certified orthopaedic surgeon specializing in the care of athletes and disorders of the shoulder, elbow and knee. Dr. Paci is the head team physician for Farmingdale State College and an orthopaedic consultant for many high schools on Long Island. 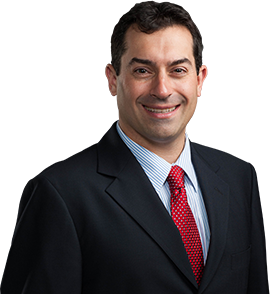 Dr. Paci is a member of the Suffolk County, Section XI Sports Safety Committee, and of the American Orthopaedic Society for Sports Medicine STOP Sports Injuries Committee. Prior to joining Orlin and Cohen, Dr. Paci was a member of Stony Brook Orthopaedic Associates and an Associate Professor in the Department of Orthopaedics within the Stony Brook University School of Medicine. During that time, Dr. Paci was a team orthopaedic physician for the Stony Brook University Seawolves. He has also served as a team physician for the New York Lizzards (MLL), Dowling College and Suffolk County Community College. Dr. Paci completed an orthopaedic sports medicine fellowship at the American Sports Medicine Institute (ASMI) in Birmingham, Alabama, under the direction of Dr. James Andrews, where he received the 2009-2010 award for excellence in clinical research. In Birmingham, Dr. Paci was the team physician for Huntingdon College and Bessemer Academy, and assisted with the care of athletes from the University of Alabama, Auburn University, the Washington Redskins football team, and the Montgomery Biscuits (AA) and Birmingham Barons (AA) baseball teams. Dr. Paci received his undergraduate degree from Yale University and was a member of the varsity football team. He continued his education at the Chicago Medical School where he received his medical degree. He then went on to complete his orthopaedic surgery residency at SUNY Upstate Medical University in Syracuse, New York, where he was Chief Resident from 2008-2009. While in Syracuse, Dr. Paci assisted in the care of the Syracuse Crunch ice hockey team (AHL), the Syracuse Chiefs baseball team (AAA), the SUNY Cortland University athletic program and the Onondaga Community College athletic program. Dr. Paci has presented research and lectured at numerous national orthopaedic and sports medicine conferences. He has also authored research and book chapters in topics related to orthopaedics and sports medicine. In addition to his clinical and team coverage responsibilities, Dr. Paci currently performs clinical and biomechanical research at the Feinstein Institute for Medical Research at Northwell Health. Paci, J.M., Dugas, J.R., Guy, J., Cain, E.L., Fleisig, G.S., Hurst, C., Wilk, K., Andrews, J.R. Cannulated Screw Fixation of Refractory Olecranon Stress Fractures with and without Associated Injuries Allows Return to Baseball. Am J Sports Med. (2013)41: 306-312. ePub: December 6, 2012. Paci, J.M., Scuderi, M.G., Werner, F.W., Sutton, L.G., Rosenbaum, P.F., Cannizzaro, J.P. (2008) Knee Medial Compartment Contact Pressure Rises With Release of the Type I Anterior Intermeniscal Ligament. Am J Sports Med. (2009)37: 1412-1416. ePub: March 13, 2009. November 28, 2016, Radiology Society of North America 2016, Chicago, IL: The Healing Process of Anterior Cruciate Ligament Graft as Evaluated by Longitudinal PET/MRI. Huang, M., Salerno, M.J., Lawrence, E., Korbin, S., Schweitzer, M.E., Paci, J.M., Vaska, P.
June 17, 2016, SUNY Upstate Medical University, Department of Orthopedic Surgery 36th Annual Alumni Day, Syracuse, NY: The Impact of Leukocyte Injections: Are They Detrimental to Tendon Morphology, Cellularity, and Vascularity? Paci, J.M. June 17, 2016, SUNY Upstate Medical University, Department of Orthopedic Surgery 36th Annual Alumni Day, Syracuse, NY: Patellar Tendon Repair Augmentation With Suture Anchor Internal Brace: A Biomechanical Cadaveric Study. Paci, J.M. July 10, 2011, The American Orthopaedic Society for Sports Medicine Annual Meeting, San Diego, CA: Long Term Follow-Up After Open Reduction and Internal Fixation of Olecranon Stress Fracture. Paci, J.M. June 17, 2011, SUNY Upstate Orthopaedic Alumni Day: The Effect of Increasing the Number of Suture Anchors Placed in the Glenoid on Bone Volume and Risk of Anchor Failure. Paci, J.M. June 2, 2011, ASMFS/HCS Meeting, Callaway Gardens, GA: Long Term Follow-Up After Open Reduction and Internal Fixation of Olecranon Stress Fracture. Paci, J.M. June 28, 2010, The American Sports Medicine Institute Fellow’s Research Day: Long Term Follow-Up After ORIF of Olecranon Stress Fracture in Baseball Players. Paper and Podium Presentation. Paci, J.M. May 29, 2009, SUNY Upstate Orthopaedic Alumni Day: The Results of Laboratory Evaluation of Acute Knee Effusion After ACL Reconstruction: What is Normal? Abstract and Podium Presentation. Paci, J.M. May 29, 2009, SUNY Upstate Orthopaedic Alumni Day: A Novel Model Measuring Contact Pressure in the Human Cadaveric Knee During Simulated Gait. Abstract and Podium Presentation. Paci, J.M. May 9, 2009, Orthopaedic Research and Education Foundation 2009 Greater Philadelphia Area Resident Research Competition and Symposium, Philadelphia, PA: A Novel Model Measuring Contact Pressure in the Human Cadaveric Knee During Simulated Gait. Abstract and Podium Presentation. Paci, J.M. May 2, 2009, Arthroscopy Association of North America Annual Meeting, San Diego, CA: The Results of Laboratory Evaluation of Acute Knee Effusion After ACL Reconstruction: What is Normal? Abstract and Podium Presentation. Paci, J.M. February 23, 2009, 55th Annual Meeting of the Orthopaedic Research Society, Las Vegas, Nevada: A Novel Model Measuring Contact Pressure in the Human Cadaveric Knee During Simulated Gait. Abstract and Short Talk Poster Presentation. Paci, J.M. July 12, 2008, The American Orthopaedic Society for Sports Medicine Annual Meeting, Orlando, FL: Knee Medial Compartment Contact Pressure Rises With Release of the Type I Anterior Intermeniscal Ligament. Abstract and Podium Presentation. Paci, J.M. May 30, 2008, SUNY Upstate Orthopaedic Alumni Day: Knee Medial Compartment Contact Pressure Rises With Release of the Type I Anterior Intermeniscal Ligament. Abstract and Podium Presentation. Paci, J.M. May 23, 2008, AOS-ASEAN Traveling Fellowship Conference, Topics in Pediatric Orthopaedics, Syracuse, NY: Pediatric Anterior Cruciate Ligament Injury and Treatment. Podium Presentation. Paci, J.M. June 1, 2007, SUNY Upstate Orthopaedic Alumni Day: The Effect of Release of the Anterior Intermeniscal Ligament of the Knee on Medial Compartment Contact Pressure. Abstract and Podium Presentation. Paci, J.M. June 4-8, 2017, International Society of Arthroscopy, Knee Surgery & Orthopaedic Sports Medicine 11th Biennial Congress, Shanghai, China: The Impact of Leukocyte Injections: Are They Detrimental to Tendon Morphology, Cellularity, and Vascularity? Paci, J.M. June 4-8, 2017, International Society of Arthroscopy, Knee Surgery & Orthopaedic Sports Medicine 11th Biennial Congress, Shanghai, China: Evaluation of ACL Repair Using PET/MRI: A Pilot Study. Paci, J.M. May 18-20, 2017, Arthroscopy Association of North America Annual Meeting 2017, Denver, CO: Evaluation of ACL Repair Using PET/MRI: A Pilot Study. Korbin, S., Salerno, M., Huang, M., Vaska, P., Browne, M., Komatsu, D.E., Pawlak, A., Paci, J.M. July 9-12, 2015, American Orthopaedic Society for Sports Medicine Annual Meeting 2015, Orlando, FL: Predictive Value of Preseason Screening in Collegiate Baseball Pitchers. Jones, C.M., Yang,J., Zhu,J., Komatsu,D.E., Flores, A., VanDyke, D., Paci, J.M. May 1-3, 2014, Annual Meeting of the Arthroscopy Association of North America, Hollywood, FL: The Loop & Tack Knot for Proximal Biceps Tendon Fixation. Moser, B, Paci, J.M., Akhavan, S.
April 24, 2013, Winthrop University Hospital House Staff and Clinical Campus Student Research Day, Mineola, NY: Predictive Values of Preseason Screening in Collegiate Baseball Pitchers. Jones, C., Flores, A., Daveline, A., VanDyke, D., Komatsu, D., Scheier, H., Penna, J., Paci, J.M. March 6-9, 2010, 56th Annual Meeting of the Orthopaedic Research Society, New Orleans, LA: Notch Violation by the Synthes Distal Femoral Locking Plate Distal Posterior Screw. A cadaveric study. Kistler, B.J., Paci, J.M., Sutton, L.G., Warner, F.W., Simpson, R.B. February 22-25, 2009, 55th Annual Meeting of the Orthopaedic Research Society, Las Vegas, Nevada: A Novel Model Measuring Contact Pressure in the Human Cadaveric Knee During Simulated Gait. Abstract and Short Talk Poster Presentation. Paci, J.M. February 22-25, 2009, 55th Annual Meeting of the Orthopaedic Research Society, Las Vegas, Nevada: The Results of Laboratory Evaluation of Acute Knee Effusion After ACL Reconstruction: What is Normal? Abstract and Poster Presentation. Paci, J.M. March 2-5, 2008, 54th Annual Meeting of the Orthopaedic Research Society, San Franscisco, CA: The Effect of Release of the Anterior Intermeniscal Ligament of the Knee on Medial Compartment Contact Pressure. Abstract and Poster Presentation. Paci, J.M. April 1, 2009: Infection After ACL Reconsrtuction: Is it Infected? What Should I Do Now? Paci, J.M. September 17, 2008: Ulnar Collateral Ligament Reconstruction in the Elbow. Paci, J.M. February 27, 2008: Beyond the Mitchell Report: Ergogenic Aids and Supplements in Sports. Paci, J.M. September 5, 2007: Injury to the Knee Meniscus Complex: Nuisance or Imminent Disability? Paci, J.M. February 7, 2007: Negative Pressure Dressings in Orthopaedic Trauma: Wound V.A.C. Technology in Open Fracture Care. Paci, J.M. August 16, 2006: Concussion in Sport: Diagnosis, Prognosis and Return to Play. Paci, J.M. December 4, 2005: Open vs. Arthroscopic Bankart Repair: In the Traumatic Anterior Shoulder Dislocator. Paci, J.M. August 30, 2017: Articular Cartilage Repair and Reconstruction Options for Knee Preservation: A Case Based Discussion. Paci, J.M. February 15, 2017: Applications of the Internal Brace Concept in the Shoulder Elbow and Knee. Paci, J.M. July 29, 2015: Update on the Overhead Athlete’s Shoulder: Where are we in 2015? Paci, J.M. August 6, 2014: SLAP Lesions and Bennett’s Osteophyte. Paci, J.M. September 19, 2012: Musculotendinous Injuries & Current Treatment Options. Paci, J.M. December 7, 2011: Elbow Pathology in the Overhead Athlete: Prevention and Treatment Options. Paci, J.M. January 19, 2011: Beyond the Mitchell Report: Ergogenic Aids and Supplements in Sports. Paci, J.M. July 9, 2010: High Tibial Osteotomy & Distal Femoral Osteotomy. Paci, J.M. September 25, 2009: Muscle Response to Injury.Paci, J.M. June 11, 2018, Arthrex National Futures Forum, Naples, FL: Clavicle Fracture Management: Plate, Nail, or Cerclage. Paci, J.M. June 11, 2018, Arthrex National Futures Forum, Naples, FL: ACL Second Revision Reconstruction. Paci, J.M. June 9, 2018, 15th Regular Meeting of the American Sports Medicine Fellowship Society, Hoover, AL: The Distal Triceps: Pathology and Treatment. Paci, J.M. June 8, 2018, 15th Regular Meeting of the American Sports Medicine Fellowship Society, Hoover, AL: Partnering with Industry to Accomplish Research Success. Paci, J.M. May 25, 2018, 8th Annual Stony Brook Sports Medicine Update, Stony Brook, NY: College Football Player with 2nd ACL Retear. Paci, J.M. May 25, 2018, 8th Annual Stony Brook Sports Medicine Update, Stony Brook, NY: Arthroscopic Assisted Distal Clavicle Fracture Repair. Paci, J.M. May 25, 2018, 8th Annual Stony Brook Sports Medicine Update, Stony Brook, NY: Rising Collegiate Basketball Player with Patella Tendon Rupture. Paci, J.M. May 10, 2018, Arthrex Fellowship Completion Forum, Naples, FL: Patella Fracture and Extensor Mechanism Repair. Paci, J. M.
May 8, 2018, University of Florida, Department of Orthopedics and Rehabilitation, Grand Rounds Visiting Professor, Gainesville, FL: Applications of the Internal Brace Concept in the Shoulder, Elbow and Knee. Paci, J.M. April 24, 2018, Stony Brook University PreMed Society Meeting, Stony Brook, NY: Introduction to Orthopaedic Surgery. Paci, J.M. January 13, 2018, Arthrex Knee Summit, Naples, FL: Extensor Mechanism Trauma. Paci, J.M. January 12, 2018, Arthrex Knee Summit, Naples, FL: ALL Reconstruction. Paci, J.M. January 12, 2018, Arthrex Knee Summit, Naples, FL: Alternative ACL Graft Options: BTB, Quadriceps Tendon. Paci, J.
November 7, 2017, Suffolk Zone Meeting, Suffolk County, NY: The ACL Epidemic and What We Can do About It. Paci, J.M. October 20, 2017, Innovative Techniques: Knee, Hip, and Shoulder Course, 2017, Las Vegas, NV: Distal Clavicle Fractures. Paci, J.M. October 20, 2017, Innovative Techniques: Knee, Hip, and Shoulder Course, 2017, Las Vegas, NV: Faceoff: Knots vs Knotless in the Shoulder: Why I Tie Knots on Every Patient. Paci, J.M. October 19, 2017, Innovative Techniques: Knee, Hip, and Shoulder Course, 2017, Las Vegas, NV: Simplified Techniques for Management of Extensor Mechanism Injuries. Paci, J.M. October 19, 2017, Innovative Techniques: Knee, Hip, and Shoulder Course, 2017, Las Vegas, NV: ACL Repair and Augmentation: My Technique & Results. Paci, J.M. October 19, 2017, Innovative Techniques: Knee, Hip, and Shoulder Course, 2017, Las Vegas, NV: Live Cadaveric Surgical Demonstration: ACL Repair with Internal Brace. Paci, J.M. October 15, 2017, Arthrex Advanced Knee Training – Northeast Region, Naples, FL: Knee Internal Brace: Where, When, and Why. Paci, J.M. October 15, 2017, Arthrex Advanced Knee Training – Northeast Region, Naples, FL: Evolution of ACL Reconstruction in My Practice. Paci, J.M. August 4, 2017, Arthrex Futures Forum, Naples, FL: Addressing AC Joint Instability and Clavicle Fractures in 2017. Paci, J.M. August 1, 2017, Arthrex August Orthobiologics Webex, Online: Articular Cartilage Repair Utilizing Cartiform. Paci, J.M. June 8, 2017, Arthrex Sports Medicine Fellowship Forum, Naples, FL: Patella Fracture and Extensor Mechanism Repair. Paci, J.M. May 26, 2017, 7th Annual Stony Brook Sports Medicine Update: The Great Debate, Stony Brook, NY: College Junior with UCL Tear in Early Summer: Repair It. Paci, J.M. May 26, 2017, 7th Annual Stony Brook Sports Medicine Update: The Great Debate, Stony Brook, NY: Minor League Pitcher with Fatigue and Medial Elbow Pain: Check His Shoulder. Paci, J.M. April 19, 2017, Miller Place High School Sports Medicine Course, Miller Place, NY: The Sports Medicine Team & Introduction to Shoulder Pathology. Paci, J.M. April 1, 2017: Tri Village Little League Pre-Season Coaches Safety Meeting, Greenlawn, NY: Medical Update: Avoiding Throwing Injuries in Youth Baseball Players. Paci, J.M. March 4, 2017, SEATs 3rd Annual Long Island Sports Medicine Symposium, East Meadow, NY: How the Internal Brace has Changed My Practice. Paci, J.M. March 1, 2017, Suffolk Count Baseball Coaches Association Meeting, Sachem High School, NY: Baseball Medicine Update: Pitch Counts and What’s a Tommy John? Paci, J.M. February 27, 2017, Suffolk County Athletic Directors Meeting, Holbrook, NY: Baseball Medicine Update: Pitch Counts and What’s a Tommy John? Paci, J.M. February 8, 2017, Stony Brook University School of Health Technology and Management Research Update, Stony Brook, NY: Orthopaedic Sports Medicine Concussion Update. Paci, J.M. January 23, 2017, Arthrex Orthopaedic Technology and Innovation Forum, Bonita Springs, FL: Extensor Mechanism InternalBrace and Patella Fracture Management. Paci, J.M. November 4, 2016, Winthrop University Hospital Orthopaedic Grand Rounds, Mineola, NY: Applications of the Internal Brace Concept in the Shoulder, Elbow and Knee. Paci, J.M. October 24, 2016, Innovative Techniques: the Knee Course 2016, Las Vegas, NV: Managing Complications and Ancillary Revenue-Moderator. Paci, J.M. October 24, 2016, Innovative Techniques: the Knee Course 2016, Las Vegas, NV: My 12 Year Old Daughter has Valgus Knees: Find Her a Spot on the Cross Country Team. Paci, J.M. October 23, 2016, Innovative Techniques: the Knee Course 2016, Las Vegas, NV: Extensor Mechanism InternalBrace and Patella Fracture Management. Paci, J.M. October 23, 2016, Innovative Techniques: the Knee Course 2016, Las Vegas, NV: ACL and MCL: Timing and Necessity of Fixation and Internal Bracing. Paci, J.M. June 22, 2016, Zimmer Biomet Sports Medicine: Current Solutions for the Knee & Shoulder, Hicksville, NY: Knee/ACL Update: With All Inside Meniscus Repair and Outside-In Approach to IDEAL Femoral Tunnel & Hamstring ACL. Paci, J.M. June 22, 2016, Zimmer Biomet Sports Medicine: Current Solutions for the Knee & Shoulder, Hicksville, NY, Shoulder Update: Labrum/Instability and Rotator Cuff Repair With Juggerknot Soft Anchor Technology. Paci, J.M. May 27, 2016, 6th Annual Stony Brook Sports Medicine Update: From the Battlefield to the Sports Field, Stony Brook, NY: Acromioclavicular Joint Instability: What Have We Learned From Our Military Colleagues? Paci, J.M. April 13, 2016, Miller Place High School Sports Medicine Class, Miller Place, NY: The Sports Medicine Team & Introduction to Shoulder Pathology. Paci, J.M. April 8, 2016, Arthrex National Futures Forum, Naples, FL: Innovations in Quad/Patella Tendon Repair and Patella ORIF. Paci, J.M. April 1, 2016: Tri Village Little League Pre-Season Coaches Safety Meeting, Greenlawn, NY: Medical Update: Avoiding Throwing Injuries in Youth Baseball Players. March 15, 2016, Huntington Village Lacrosse League Coaches Meeting, Huntington, NY: Common Lacrosse Injuries and Injury Prevention and Concussion. Paci, J.M. March 9, 2016: Stony Brook Department of Pediatrics, Grand Rounds, Stony Brook, NY: Sideline Sports Medicine Coverage: What is the Role of the Team Physician? Paci, J.M. January 22, 2016, Zimmer-Biomet National Sales Meeting, Orlando, FL: Outside-In Approach to Ideal Femoral Tunnel & Hamstring ACL. Paci, J.M. January 5, 2016: Arthrex Management WebEx: Use of Internal Brace in My Sports Medicine Practice. Paci, J.M. November 9, 2015: Safe Kids Worldwide: St. John the Baptist Sports Night, West Islip, NY: Common Soccer Injuries and Injury Prevention. Paci, J.M. October 24, 2015: Zimmer Knee Creations Subchondroplasty Conference, Dallas, TX: My Experience With Subchondroplasty. Paci, J.M. October 8, 2015: Stony Brook School of Medicine Ortho Interest Group, Stony Brook, NY: Introduction to Orthopaedic Surgery. Paci, J.M. August 26, 2015: Stony Brook Department of Pediatrics, Grand Rounds, Stony Brook, NY: Sideline Management of the Injured Athlete, Concussion to Spine Boarding. Cruickshank, B. & Paci, J.M. June 18, 2015: American Sports Medicine Fellowship Society Meeting, Hoover, AL: ACL Reconstruction with BTB Suspensory Fixation: Early Clinical and Radiographic Outcomes. Paci, J.M. May 29, 2015: Stony Brook Orthopaedic Sports Medicine Symposium 2015, Stony Brook , NY: Revision for Failed SLAP Repair. Paci, J.M. March 7, 2015: SEATs 2015 Lacrosse Sports Medicine Symposium, East Meadow, NY: Update on Performance Enhancing Drugs. Paci, J.M. March 7, 2015: SEATs 2015 Lacrosse Sports Medicine Symposium, East Meadow, NY: Acute and Chronic Tendon Injuries in the Lacrosse Athlete: Conservative and Operative Management. Paci, J.M. January 23, 2015: 33rd Injuries in Baseball Course, Birmingham, AL: Capsulolabral Pathology in Throwers: Evaluation and Diagnosis. Paci, J.M. January 23, 2015: 33rd Injuries in Baseball Course, Birmingham, AL: Biceps Tendon Pathology. Paci, J.M. January 10, 2015: Arthrex Sports Medicine Faculty Forum, Naples, FL: BTB TightRope: Early Clinical and Radiographic Outcomes. Paci, J.M. June 16, 2014: Professional Physical Therapy Education Night, Melville, NY: Throwing Shoulder and Superior Labrum Pathology. Paci, J.M. May 16, 2014: Stony Brook Orthopaedics Sports Medicine Symposium 2014, Stony Brook, NY: The Distal Triceps: Pathology and Treatment. Paci, J.M. May 16, 2014: Stony Brook Orthopaedics Sports Medicine Symposium 2014, Stony Brook, NY: Anterior Shoulder Pain in a 36 Year Old Male. Paci, J.M. March 29, 2014: Tri Village Little League Pre-Season Coaches Safety Meeting, Greenlawn, NY: Medical Update: Avoiding Throwing Injuries in Youth Baseball Players. Paci, J.M. March 21, 2014: 40th Annual Stony Brook Family Practice Symposium, Stony Brook, NY: Sports Medicine Apllications of Platelet Rich Plasma and Musculoskeletal Ultrasound. Paci, J.M. January 9, 2014: Arthrex North American Sports Medicine Faculty Forum, Naples, FL: Novel Knotless Anatomic Distal Triceps Repair. Paci, J.M. June 14, 2013: Stony Brook Orthopaedics Sports Medicine Symposium 2013, Stony Brook, NY: Evaluation and Management of MDI in the Female Athlete. Paci, J.M. June 14, 2013: Stony Brook Orthopaedics Sports Medicine Symposium 2013, Stony Brook, NY: Interesting Case: Massive Calcific Rotator Cuff Tendinitis Deposit. Paci, J.M. January 26, 2013: First Annual Professional Lacrosse Sports Medicine Symposium, Denver, CO: Performance Enhancing Drugs in Sports: An Update and a Proposal for Professional Lacrosse Leagues. Paci, J.M. January 6, 2013: Arthrex North American Sports Medicine Faculty Forum, Naples, FL: Novel Knottless AnatomicDistal Triceps Repair. Paci, J.M. December 5, 2012: Annual Clinic Day: The American College of Surgeons Brooklyn & Long Island Chapter and The Nassau Surgical Society, Inc., Uniondale, NY: Musculotendinous Injuries & Current Treatment Options. Paci, J.M. June 8, 2012: Arthrex Fellowship Completion Forum, Naples, FL: First Year In Practice Panel. Paci, J.M. June 7, 2012: Arthrex Fellowship Completion Forum, Naples, FL: New Constructs in Clavicle Fracture Fixation. Paci, J.M. May 11, 2012: Stony Brook Orthopaedics Sports Medicine Symposium 2012, Stony Brook, NY: Current Concepts in Shoulder Instability with Associated Glenohumeral Bone Loss. Paci, J.M. May 11, 2012: Stony Brook Orthopaedics Sports Medicine Symposium 2012, Stony Brook, NY: Shoulder Interesting Case, 17 Year Old High School Linebacker With Chronic Instability. Paci, J.M. January 27, 2012: Injuries in Baseball Course, Hoover, AL: The Surgical Anatomy of the Shoulder. Paci, J.M., Shore, B., Jost, P.
December 21, 2011: Stony Brook University Medical School Orthopeadic Surgery Interest Group, Stony Brook, NY: Introduction to Orthopaedic Sports Medicine. Paci, J.M. June 10, 2011: Arthrex Fellowship Completion Forum, Naples, FL: First Year in Practice Panel. Paci, J.M. May 20, 2011: Stony Brook Orthopaedics Sports Medicine Symposium 2011, Stony Brook, NY: Overuse Elbow Injuries Paci, J.M. May 20, 2011: Stony Brook Orthopaedics Sports Medicine Symposium 2011, Stony Brook, NY: Therapeutics for Overuse Pathology: Tendonopathies Paci, J.M. May 12, 2011: Vitaris Physical Therapy In-Service, Long Island, NY: Throwing Injuries in the Elbow Paci, J.M. March 12, 2011: Stony Brook Department of Physical Therapy DPT Program, Stony Brook, NY: Radiographic Anatomy the Upper Extremity Paci, J.M. February 11, 2011: Stony Brook University Medical School Orthopeadic Surgery Interest Group, Stony Brook, NY: Introduction to Orthopaedic Sports Medicine. Paci, J.M. September 2, 2010: SUNY Stony Brook Department of Physical Therapy, Stony Brook, NY: Orthopaedic Concepts of the Upper Extremity Paci, J.M. July 14, 2010: AOSSM-ISAKOS Pre-conference Program: Current Concepts in Sports Medicine Surgery: A Global Perspective on the Treatment of Sports Injuries., Providence, RI: Anatomic Anterior Cruciate Ligament Reconstruction, The Clancy Technique. Paci, J.M. & Clancy, W.G. April 12, 2010: Huntington College Athletic Training Program Lecture Series, Mongomery, AL: The Anatomy of the Lower Extremity, Human Cadaveric Dissection. Paci, J.M. February 15, 2010: Huntingdon College Athletic Training Program Lecture Series, Montgomery, AL: Beyond the Mitchell Report: Steroids, Supplements and Substance Use in Sports. Paci, J.M. January 22, 2010: Injuries in Baseball Course, Hoover, AL: The Surgical Anatomy of the Shoulder. Paci, J.M., Bedford, B., Hartzell, J. May 28, 2009: The Yale Club of Central New York, Annual Party and Membership Meeting, Fayetteville, NY: Beyond the Mitchell Report: Steroids, Supplements and Substance Use in Sports. Paci, J.M. May 22, 2008: New York State Athletic Association Section 3 Meeting, Canastota, NY: Concussion Management for Interscholastic Athletics. Paci, J.M., Rieger, B., et al. February 29, 2008: SUNY Upstate Medical University 2008 Sports Medicine Symposium, Skaneateles, NY: Beyond the Mitchell Report: Ergogenic Aids and Supplements in Sports. Paci, J.M. March 22, 2007: Anatomy and Physical Exam of the Shoulder. Medical School Musculoskeletal Anatomy Course. Paci, J.M. Neuroimaging in the Hyperacute Phase of Sports Concussion. Vaska, P., Crusickshank, B., Paci, J.M. Predictive Value of Preseason Screening in Collegiate Baseball Pitchers. Jones, C., Flores, A., Daveline, A., VanDyke, D., Komatsu, D., Scheier, H., Penna, J., Paci, J.M. The Impact of Leukocyte Injections: Are They Detrimental to Tendon Morphology, Cellularity and Vascularity. Rowe, E., Komatsu, D., Paci, J.M. Grant funded by Arthrex Inc. Funded by Rotation Medical, Inc. The Effect of Increasing the Number of Suture Anchors Placed in the Glenoid on Bone Volume and Risk of Anchor Failure. Paci, J.M., Emblom, B.A., Werner, F.W., Huffman, K.R., Fleisig, G.S., Cain, E.L. Injuries in Baseball Course, Hoover, AL, January 22-24, 2010. The Arthroscopy Association of North America Annual Meeting, San Diego, CA, April 29 – May 3, 2009. 55th Annual Meeting of the Orthopaedic Research Society, Las Vegas, NV, February 22-25, 2009. The American Orthopaedic Society for Sports Medicine Annual Meeting & Research Day, Orlando, FL, July 9-13, 2008. 54th Annual Meeting of the Orthopaedic Research Society, San Franscisco, CA, March 2-5, 2008. 2017/2018: SUNY Stony Brook Targeted Research Opportunity Program – Fusion Award: Neuroimaging in the Hyperacute Phase of Sports Concussion. Vaska, P. & Paci, J.M. Language: Six years of Spanish language training.